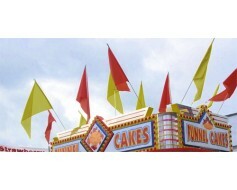 Our blank nylon flags are the perfect eye catcher for events, festivals, fairs and theme parks! 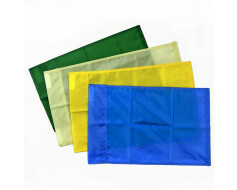 Our standard nylon blank flags come in a wide variety of colors in a variety of standard sizes. 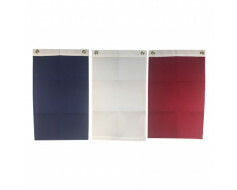 Our flags feature a canvas header with brass grommets for mounting. Looking for a blank nylon flag featuring a pole sleeve? 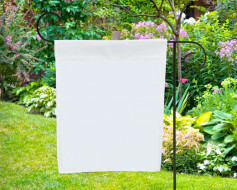 Check out our blank nylon banners that can be used on house mount flagpoles or hung vertically! Most blank nylon flags are made to order and take 10-15 business days for production. If you are in a hurry for these, please call to check lead time. Rush orders are usually possible but may require additional charges. At Gettysburg Flag Works, we can make your blank flags in any shape, with a variety of materials, and in a wide range of colors! Please note that most are made to order and take 10-15 business days for production. If you are in a hurry for these, please call to check lead time. Rush orders are usually possible but may require additional charges. Wondering what colors are available? 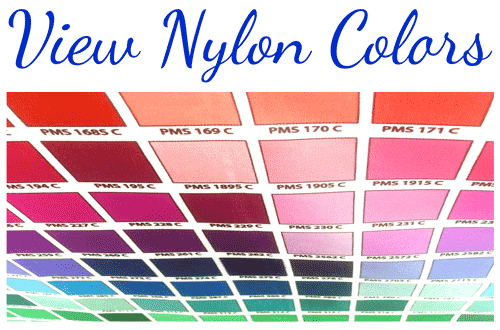 View our Nylon Flag Color Chart to pick the perfect shade for your flag! Flagpoles and flag hardware sold separately. 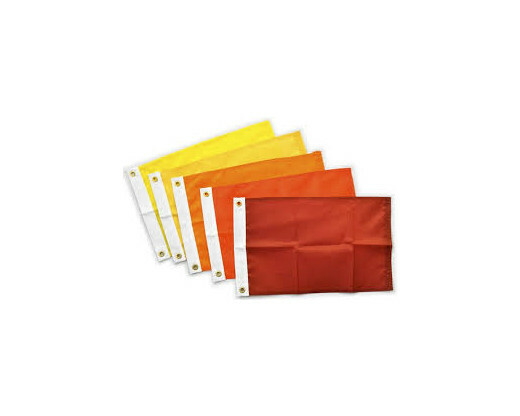 Have questions or wondering about additional options when it comes to ordering blank nylon flags? Give us a call at 1-888-697-3524 for additional options not shown here, or contact us online with any inquiries you might have. I have truly enjoyed working with you all since the short time I have been here at AP. I have had nothing but excellence experience with you. Customer experience, friendliness, and timeliness are all things I have seen with each order.